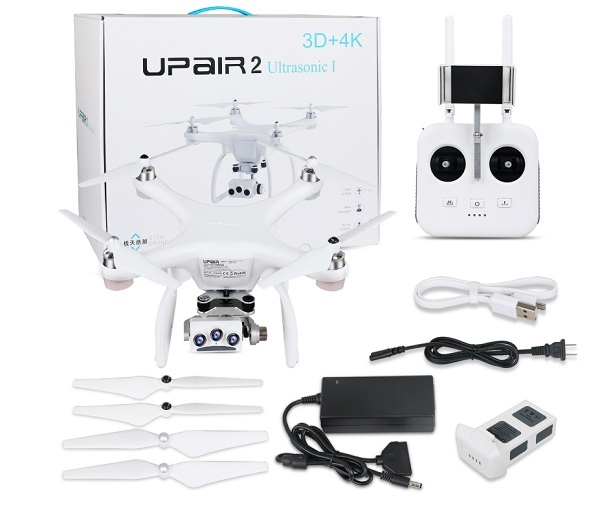 Today, I will introduce you the newly announced UPair 2 Ultrasonic I drone. Compared to its predecessor, the second generation UPair quadcopter comes with lots of new features. Furthermore, it brings extended flight time and longer control rage. While the UPair One (aka UP Air Chase) had only 19 minutes flight time and 1KM flight range, the UPair Two will have up to 24 minutes airborne time and 2KM control distance. 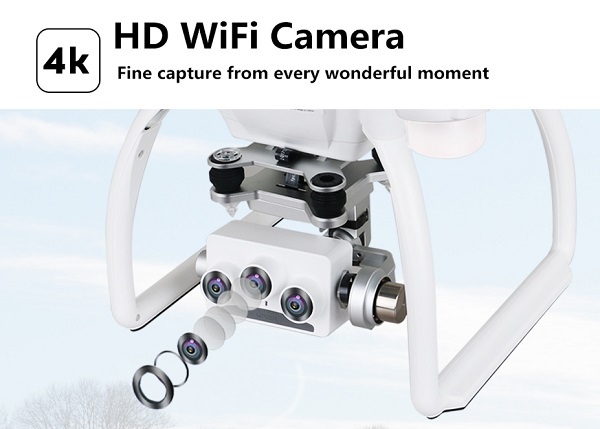 Even you aren’t an expert, you will notice that is something unusual around its camera, it has not one, but 3 lenses! In case of phones, the multiple lens system usually allows faster focusing and even 3D capability. In order to allow smooth cinematic aerial filming, the 4K camera is hanged on a 3-axis motorized gimbal. Up to 24 minutes flight time. Thanks to the fail-safe auto return to home feature, the UPair 2 quadcopter will autonomously return to the take-off point (good GPS coverage required) on RC signal loss or low battery voltage.